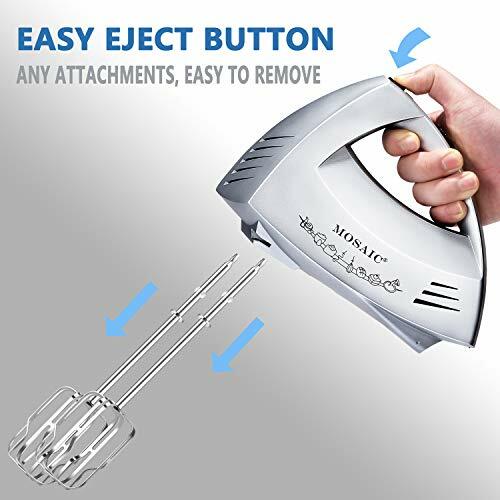 ✅MULTI-FUNCTIONAL HAND MIXER - Multi-function for a variety of kitchen mixing and blending tasks. 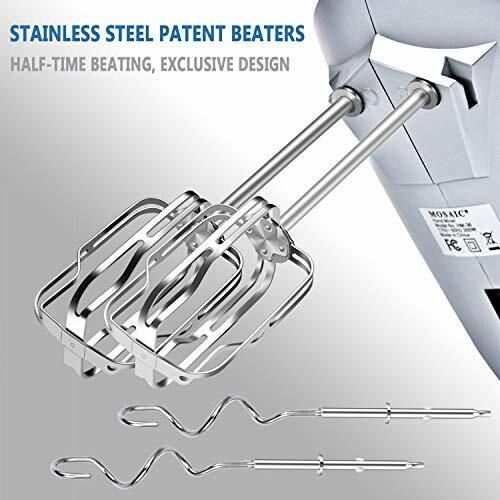 This baking mixer not only a handheld mixer but also an immersion blender. 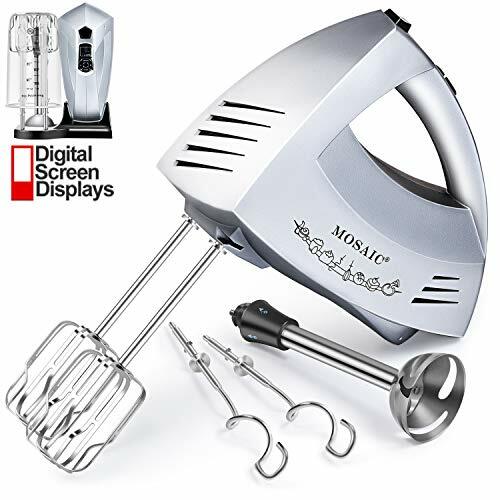 ✅POWERFUL AND DURABLE - 300 watt motor, 6 speeds control and turbo function. 9 min maximum continuous working time for perfect results while mixing or beating. 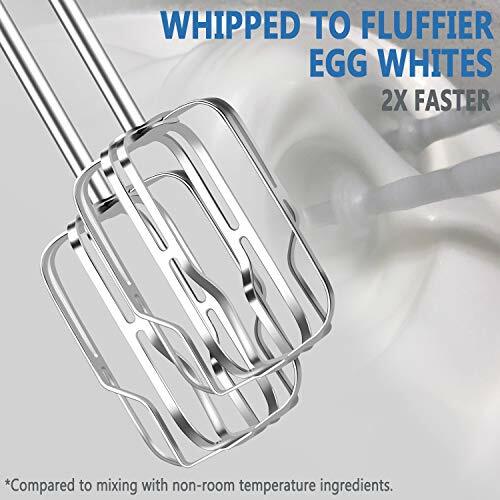 ✅EFFICIENT PATENT BEATERS - Perfect and efficient for whisking egg whites, creaming ingredients with the patent beaters. 2 minutes for egg white, 5 minutes for whipping cream. ✅ELECTRONIC CONTROL SYSTEM - More durable and convenient for speeds control (turbo function) than other mechanical. Built with LCD display showing the speeds and using time. 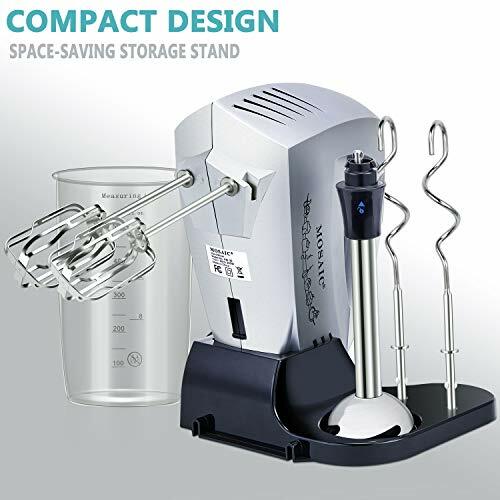 ✅COMPACT AND EASY TO CLEAN - Come with a creative storage stand, keep it easy to store and save space. The stainless steel beaters and hooks will be easy to clean with hot water.